If you own a traditional acoustic piano, you know that it’s a massive, heavy piece of furniture. You can probably remember the day you moved it/it was moved into your home and maybe even have a story to tell about your experience. You probably also dread the day that you must move it again, if that day ever comes. 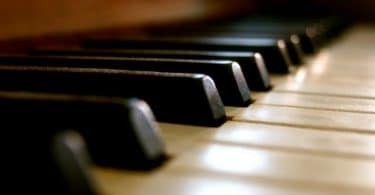 There are types of pianos that are lighter than the traditional, heavy, acoustic pianos, however, and if you have not purchased a piano yet, you might want to consider them. Electronic keyboards are the lightest and most portable type of piano. They are smaller than digital or traditional pianos, at 61 keys as opposed to 88. These types of pianos typically weigh about 20 lbs. and are easy to move. Digital pianos may look like keyboards but have the full set of 88 keys. There are many types of digital pianos, from the ones that are portable and resemble keyboards, weighing in at approximately 20 lbs., to the larger digital console pianos that look like traditional acoustic pianos, weighing about 100 lbs. Spinet pianos are the smallest type of vertical acoustic piano. These measure from 36 to 40 inches tall and typically weigh from 300 to 350 lbs. Console pianos are the most popular type of vertical piano. These stand 40 to 43 inches high and weigh from 350 to 450 lbs. Studio pianos stand 44 to 48 inches tall and weigh from 400 to 500 lbs. Small upright pianos stand 43 inches high and can weigh from 300 to 400 lbs. Large upright pianos stand from 48 to 60 inches tall and weigh from 600 to 1000 lbs. Small grand pianos which stand 4 ½ to 5 feet tall and weigh 400 to 500 lbs. Baby grand pianos which stand 5 to 5 ½ feet tall and weigh 500 to 800 lbs. Medium grand pianos standing 5 feet 6 to 5 feet 9 inches tall and weighing 600 lbs. Living room grand pianos which are 5 feet 10 inches tall and typically weigh 600 lbs. Professional grand pianos which stand 6 feet tall and weigh 700 lbs. Drawing room grand pianos which are 6 feet 4 inches tall and weigh 750 lbs. Parlor grand pianos which are 6 feet 8 inches tall and weigh about 750 lbs. Semi concert grand pianos stand 7 feet 4 inches tall and weigh 900 lbs. Concert grand pianos stand 8 feet 11 inches tall and larger and weigh from 550 lbs. to 1200 lbs. Looking at the information above, it’s easy to see that there are clear benefits to portable digital pianos and keyboards. Many portable pianos allow the musician to plug in headphones and practice quietly, without disturbing others. Some portable pianos and keyboards can record while you play music so that you can go back later and analyze what you need to work on. 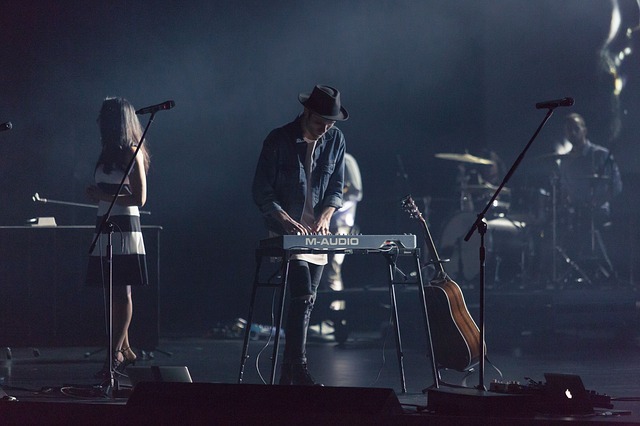 Digital pianos and portable keyboards have a wide variety of sounds available for musicians to play with, including harpsichord, organ, guitar, synthesizer and more. These can be great fun for younger children or experienced musicians to experiment. Some digital and portable pianos and keyboards have smartphone applications that can be used in conjunction with the piano. Roland especially offers a variety of apps that pair with its keyboards and digital pianos. Can My Floor Support A Grand Piano? Before spending your money on a grand piano, consider where it will be placed in your home, classroom, studio or wherever you plan to use it. Can your floor support the weight of a grand piano? In an older, pre-1900s home, this is a real consideration. Depending upon which size of grand piano you choose, a grand piano might not be your best bet. If your heart is absolutely set on a grand piano, you can install a support beam under the floor where the piano will be placed. This should only be done with the help of a structural engineer or contractor who has experience in such matters, however. It’s time to move your piano! Using a professional company that has experience in moving pianos is highly recommended. The best way to find a piano mover is to do a Google search for “piano movers” in your area. Some will move a piano for a flat fee, while others will base the cost to move a piano on its weight. The distance of the move must also be taken into consideration and factored into the cost. Prices for piano moving can range from $100 to $1000. Because of the difficulty involved in moving a piano, especially a larger one, using a professional moving company is strongly suggested, regardless of the cost. Should finances dictate that you have to move your piano yourself, make sure to take some precautions and do it the right way. Make sure you have the proper equipment before beginning your move. This will include a dolly, hump strap, locking piano belts, a piano skid board, mover’s pads, and packing tape. This equipment can save your life and health and your friends’ lives and health as they help you move this monster. Using a four-wheel piano dolly is highly recommended by moving experts. This Cass Hudson Upright Piano Dolly is one example. With this handy piece of equipment, a piano can be mounted on its side and moved easily. For smaller pianos, sliders such as The Super Furniture Sliders by Medipaq Greatideas are also recommended. These can even be left under the feet of the piano if it needs to be moved across a room often for cleaning. Moving a piano up and/or down stairs can be tricky. This is the most dangerous part of moving a piano, because you can easily get hurt. Dollies are very necessary in this step. Use a ramp and dolly to move your piano into a moving truck. Make sure the piano is taken off the dolly once it is in the truck and that it is double or triple belted to the wall of the truck, so that it won’t move around and become damaged during the move. Conclusion - How Much Does A Piano Weigh? 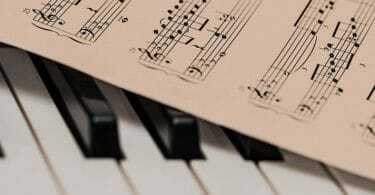 Your piano is not just another piece of furniture – it is a valuable, finely tuned musical instrument. Therefore, you want to make sure that when it’s moved, it’s done correctly, with no possible damage being done to the piano. The sheer weight of this behemoth is reason enough to hire professional movers to move your piano. You don’t want to end up getting yourself, family members or friends who volunteer to help hurt in any way. Shelling out money for a piano move now will save you money at the doctor’s office later.